Eastern Europe’s love affair with Neurofunk has led to the emergence a lot of the best producers in the scene, amongst which Prague-based Pavel Ridoško is the cream of the crop. His collaborations with Black Sun Empire and releases over the years on their labels have also resulted in an outlet for him to fully express his musical vision on Blackout NL… and it is nothing short of STUNNING! 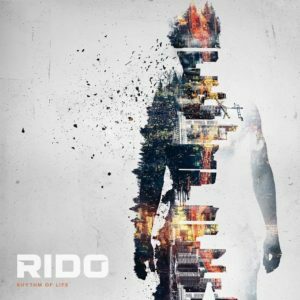 Rido’s debut album Rhythm Of Life is a sprawling drum & bass opus that demonstrates an astonishing level of technical and compositional skill. 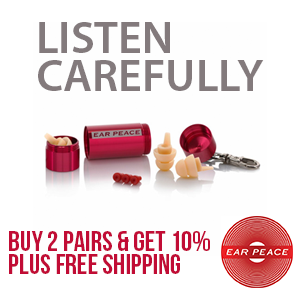 The songs are ambitious, filled with complex rhythms, beautiful melodies and enveloping walls of bass pressure. It’s more impressive when he stated in an interview from last summer that his new studio’s acoustics weren’t perfect, leading him to choose to focus more on his productions’ vibe than surgical sound engineering precision. 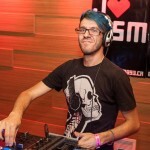 With his skills, we not only get tunes that are really infused with passion and are from the heart, but that sound incredible and rich, and not harsh like a lot of the recent crop of neuro. Even though every track on this album is very techy, with the drums being very punchy and crisp and the basses very crunchy, the soundscape is quite warm and the choices of instruments and their treatment cocoons us into his expansive musical universe. There is also quite a bit of variety and moods amongst the album’s songs, like the balls out dancefloor fury of Microwave Radiation, Cut The Midrange, Basement and Pure Frequency, or the deeper and more soulful approach like Veins – with a moving vocal performance by Thomas Oliver – and Fade Away. There are also some tunes that combine the two vibes, being techy, deep, melodic and soulful all at once, such as opening track Ignition, Solar Walk and the last two tracks Rumble Of Thunder (which I swear has a Britney Spears vocal sample or something!) and Thursday Funk. Let us not forget Movin, which doesn’t really fit into the above categories with its hip-hop feel, minimalist arrangement and oddball halftime rhythm. I really like one-liners in that track, such as “Like a glitch in the Matrix” and “This is the rebirth!”, especially the former, with recent evidence from quantum physics research that our reality may well be a sort of Matrix… All in all, no one track isn’t really better than the others, honestly they are all simply FANTASTIC! I would be inclined to think that Rhythm Of Life is 2016’s answer to Mefjus’ 2014 album Emulation, both debut albums being made by like-minded technical wizards who are also quite skilled at writing good songs with infectious grooves and mind-melting basslines! This album is essential listening if you are into techier DnB, be it the deeper or harder varieties, you’ll plenty of it here and come its conclusion, you’ll have a hard time wiping that satisfactory smirk off your face. And while you’re at it, give Blackout NL and their shop a visit too (even though they charge way too much for international shipping, they still have the best goddam DnB T-shirts out there)!